When I started my journey into Lean Thinking the likes of Taiichi Ohno and Shigeo Shingo, the founders of the Toyota Production System, were gone. I consider myself the next generation of Lean implementers, learning from those who learned from the best. My own sensei worked for Toyota for 30 years and often told stories of working with Ohno-san and Shingo-san. As a passionate Lean Thinker I am always interested in learning about the creation and establishment of the Toyota Production System. Now there is a book that sheds more light into the thinking of Taiichi Ohno. 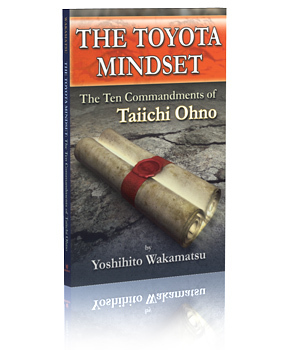 The Toyota Mindset explains the ten commandments of the famous thinker. Written by Yoshihito Wakamatsu, an early shop floor worker during Ohno's development of the Toyota Production System, now a manufacturing leader recounts Ohno's teachings. Wastes hide so start by disclosing all of your mistakes. · Collecting small parts lets you identify bigger wastes. · Don't plan with numbers from the past otherwise the same wastes will be inherited. · Measure your performance by productivity, not by how busy you are. · Produce only necessary items. Discover the truth beyond your understanding. · Avoid first aid remedies; develop a habit of analyzing thoroughly on the shop floor. · Don't just do what you can, do until you can. · Don't become conceited by being satisfied with immediate results; avoid being over confident. Increasing production while limiting the number of workers is the only way to gain true success. · Don't select work based on what's possible or not, always decide based on what's necessary or not. · Lead them to an answer but don't give it away. · Reverse your thinking process. · Motivating people requires swaying their emotions, however it comes with many difficulties. Act on problems right away, don't procrastinate. · Do it now; you can solve anything. · You can find a better solution today than you can tomorrow. · Continuous efforts build a solid foundation. Don't feel satisfied by saying, "I finished the job." Go beyond that and say, "I can do more." · Don't just follow instructions; add your own craftiness to it. · Avoid a uniform treatment of suppliers; it only leads to labor enforcement. · Don't teach your workers everything; let them realize on their own. Add "appropriate timing" to "appropriate method" in problem solving. · Give your workers care and time so that they start approaching you. · Show workers what you can do first. · Don't let workers sweat or they will lack ideas. Believe in "I can" and question "I can't". · Everybody has innate intelligence; it is the role of leaders to educe such intelligence. · Don't believe what critics say and don't base your judgments on criticism. 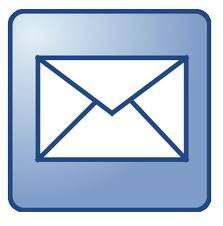 · If you want to improve how work is performed you need to reform the basic mechanism of work. The key to achieving progress is to never give up. · Don't give up because it's destined to become a failure; generate ideas so that it won't fail. · If you want to gain strong support from your workers; give out fewer orders. · See through the numbers; only the shop can validate the truth. Don't do work at an average pace; the shortest way is always the easiest. · Continuously improve on a pattern of failure. Do the same for a pattern of success. · The starting point can be low as long as your goal is set high. · Decisions can be based on profitability, but that shouldn't be the only factor. Change yourself first if you want to change someone else. · Ask workers to do hard things in a gentle manner; ask workers to do easy things repeatedly. · An "I can" conviction can be as easy as an "I can't" conviction. · Make a great team and continuously improve it. The author says the most important element is to have faith in human intelligence and potential. From my experience I tend to agree. Humans can be empowered by taking full advantage of their innate intelligence. Remember, anyone can come up with ideas. It is up to you to nurture and help bring forth tangible results because of those ideas. The stories and examples recounted in the book provide valuable insight into Ohno's belief, as well as giving a glimpse into the transitional period of Toyota's history that led to them becoming a world leader in manufacturing. There are not many other books out there that give the reader such and in-depth look at the man who revolutionized the way manufacturing is done. While Ohno did not necessarily describe the 10 commandments in his work the author does this to explain Ohno's philosophy. In my opinion this is a must read book for anyone interesting in Lean Thinking. It provides a deeper understanding into the birth of the TPS. The knowledge the author presents will better equip you to deal with problems that may arise in your organization. Note: A copy of this book was provided by the publisher Enna for review. Excellent post! That must be a great read-so many truths. It's now on my list. Thank you for sharing. Tim, I appreciate the quality of this review and the information you shared.